Researchers with the PREDICT program in Tanzania, testing bats for disease that could spread to humans. Almost daily, as a society, we experience the connection and consequences between the health of humans, animals and the environment. The Zika virus — carried by mosquitoes and spreading in many regions of the world — is suspected of causing thousands of human birth defects in Brazil and was declared a public health emergency by the World Health Organization. As much as 75 percent of new or re-emerging diseases affecting humans are of animal origin. New infectious diseases, climate change, and a moving political landscape are some of the changes that veterinarians, physicians, scientists and other health and environmental professionals must adapt to in meeting these global challenges. That’s where we know the emerging approach known as “One Health” comes in, uniting these professionals in many parts of the world to address complex problems that recognize the vast interrelationships between human, animal and environmental health. 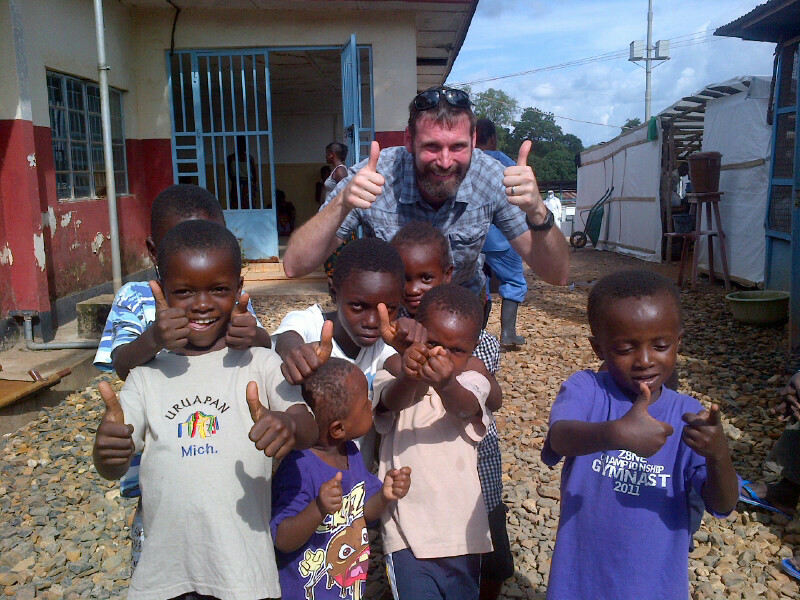 Dr. Brian Bird (Ph.D. ’08, DVM ’09) outside an Ebola Treatment Unit in Sierra Leone, with a group of kids who had recovered from the virus and were celebrating their discharge. One Health harnesses the power of collaborative expertise to solve the pressing issues we face in our mobile society. For example, early detection and prevention of the Ebola virus outbreak in Africa in 2014 was aided by a team of UC Davis investigators, including veterinarians. 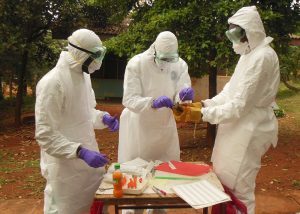 This was not the case in a later African outbreak, where a less timely response allowed the virus to spread in other parts of the world. In the 1990s, the first cases of mad cow disease in cattle in the United Kingdom and West Nile virus in birds were first detected or confirmed by astute veterinary pathologists who understood the One Health approach. 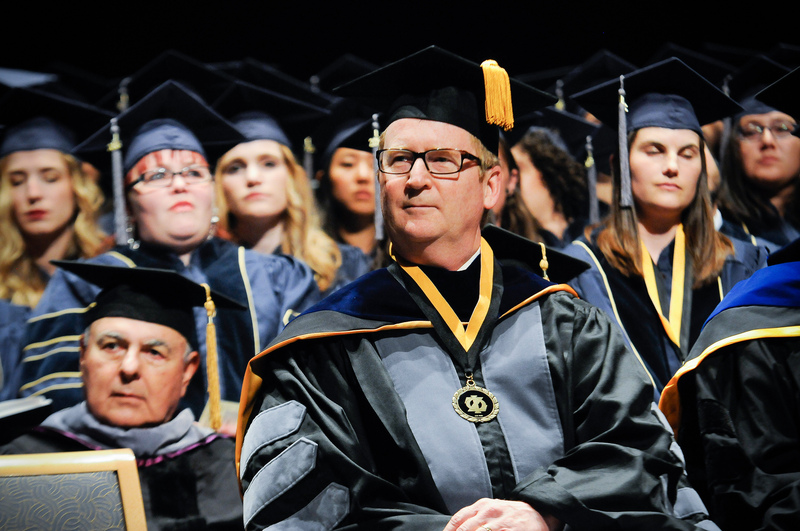 Dean Michael Lairmore listens to a speaker at this year’s commencement ceremony. As I begin my second term as dean of the UC Davis School of Veterinary Medicine, I am humbled and honored to continue to lead an institution that is the global leader in veterinary medicine. Our vision over the next five years will undoubtedly continue to be guided by the desire to lead veterinary medicine and address societal needs. As we advance the health of animals, people, and the environment, we must continue to examine how we can refine our goals and tactics if we are to remain a world leader. Blanca Camacho, a 2016 graduate, checks on a dog prepared for treatment with the linear accelerator. To continue to educate leaders in veterinary medicine in all its many facets, we will need to seek out ways to diversify our faculty, staff, and students to fully reflect our society. We must continue to expand our innovative programs to recruit students who are both academically strong, but also reflect the demographics of the society they seek to serve. 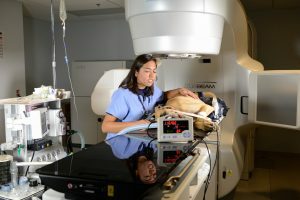 They cannot all be focused on one career path, but be trained in and willing to serve in the vast array of careers offered to veterinarians and scientists with unique biomedical knowledge and skills. Our faculty must be leaders in their fields, to maintain our leadership position in research, education, and service, but also reflect the diversity of our society.